Congratulations and great respect go to Ellie Brown, Mehboob Khan and Vicky Nock for their marathon exploits. 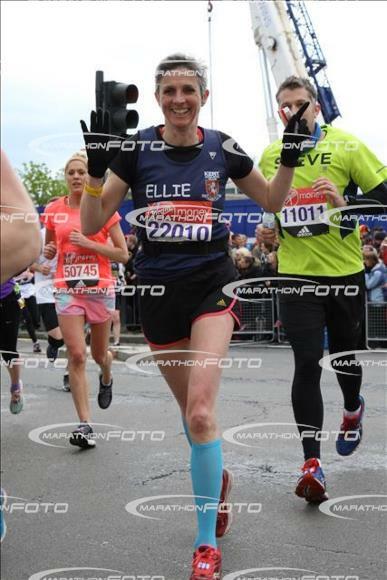 Ellie has run ten marathons in ten years, and the 2016 London marathon is her second this year! How does a person do so many?! That is a series of serious achievements - and all in fast time too, all around the 4-hour mark. Her slowest time was 4 hours 7 minutes at her first marathon in 2006, her fastest was 3 hours 57 minutes, and this year she did it in 4 hours 4 minutes. Consistent excellence! She is pictured here crossing the finishing line.